Whether you’re planning a birthday party, wedding, corporate event, or killer party, an LED Video Dance Floor will leave your guests amazed. 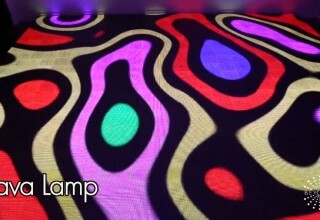 The floor can display anything you’d like — from a live video stream to personal photos, custom animations, music videos, football games, and BEYOND. If you can watch it on a traditional screen, you can watch it beneath the feet of your guests. The sky is the limit. 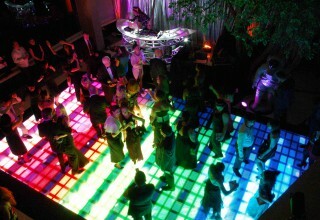 The video dance floor can be a standard 20’x20′ or a widescreen format, such as 15’x26′ or anywhere in between. All dance floor sizes come with a standard black border surround for easy access on and off the floor. Custom floor designs and video content is available by request and consultation.